2.1 What Does A Refrigerator Water Filter Do? 2.2 How Does A Refrigerator Water Filter Work? 2.3 Why Is A Refrigerator Filter Important? 3.1 Why Do I Need To Replace My Fridge Filter? 3.2 When Do I Need To Replace My Fridge Filter? 3.3 How Do I Find The Right Filter For My Fridge? 3.4 How Do I Install My New Refrigerator Filter? 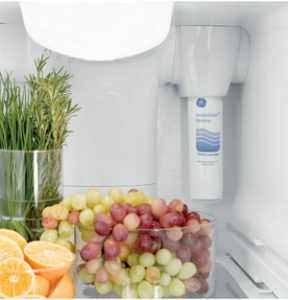 Using the best refrigerator water filter can do wonders on your budget. Not only is this a great way to have a healthy source of chilled water always close at hand, but it’s also an amazing way to reduce the amount of money you spend on the water each week. 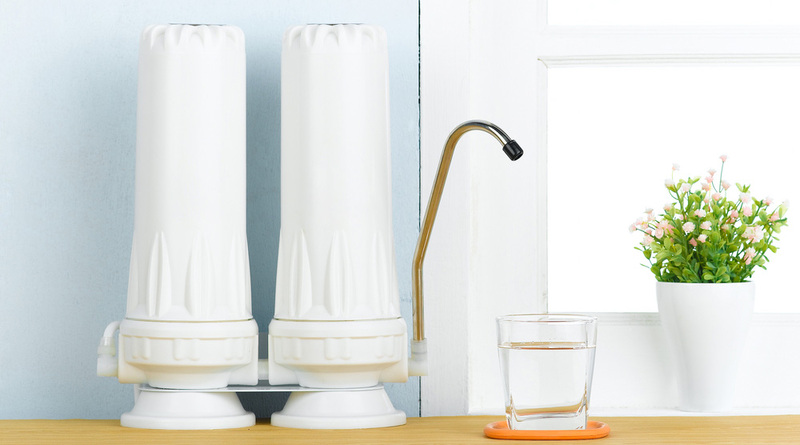 Once you start using such a filter, you won’t have to spend money on water bottles, and you won’t have to invest in other water filters as well. 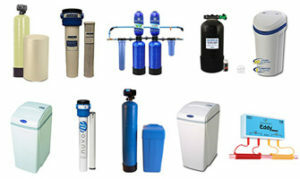 In the following article, we present the latest refrigerator water filter reviews. All the models we included on this list will eliminate most of the contaminants in your drinking water, and they will improve its taste and smell. In the second section of the article, we explain why you should use a water filter for your fridge, and how to install a model properly. The CuZn ILFC-200 is a great refrigerator water filter that’s capable of removing most of the contaminants in your water. This model passes the water through no less than 4 filtration mediums that will make the end result not only clean but also great tasting. One of the things we appreciated about this model is that it’s capable of removing both the chloramine and the fluoride in your drinking water without removing the healthy minerals. Both these elements are commonly found in the water, and both of them can be harmful. By removing them without removing the minerals your body needs, the filter increases the quality of your water. As far as the filter’s installation is concerned, this model is very easy to install and it comes with all the accessories you’ll need for the installation. 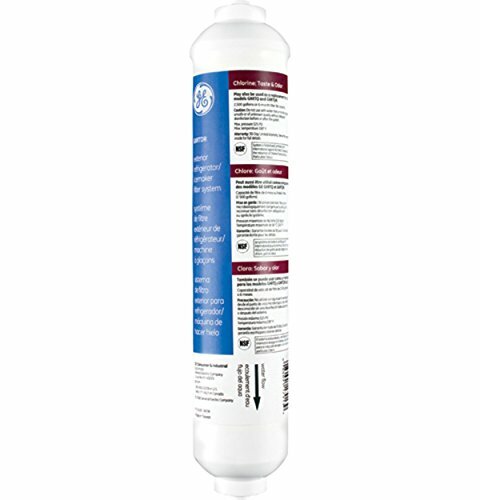 Heavy – This refrigerator filter is heavy, so you will need to find a way to secure it on the back of the fridge. 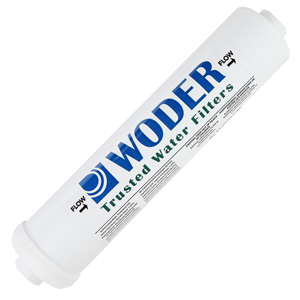 The Woder 10K-JG-1/4 refrigerator filter is an efficient model that will fit on the water lines of most fridges. This unit will successfully remove the heavy metals, chlorine, chromium, mercury, detergents, pharmaceuticals, and all the unpleasant smells and tastes from the water that ends up in your fridge or ice machine. We were impressed by this filter’s longevity and durability. This filter can remove the contaminants from up to 10,000 gallons of water or for all the water you use within a 3-year timeframe. Thanks to its advanced filtration technology, this water filter is capable of removing 99.9% of the contaminants in the water without removing the healthy minerals your body needs. Easy Installation – This refrigerator water filter is very easy to use. Most people will be able to install the filter in less than 15 minutes without needing any tools or training. 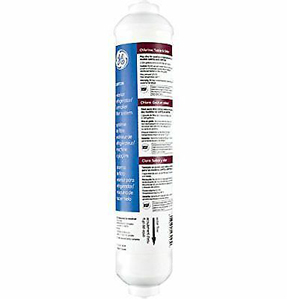 The GE GXRTDR refrigerator water filter is a great budget solution for those who want to prolong their fridge’s lifespan. This is a universal filter that will fit on most refrigerator models, but you can make sure it will fit on yours by using the partfinder query box offered on the product’s page. One of the things we liked about this model is that it’s very efficient at removing the chlorine from the water. Once you start using the filter your water will not only lose its chlorine smell, but it will also taste better and be healthier. The water filter comes with quick-connect fittings that will attach easily to your refrigerator’s water lines without needing any special tools. Connectors Could Be Better – The quick-connect fittings are made out of cheap plastic and they might break when you screw them in. 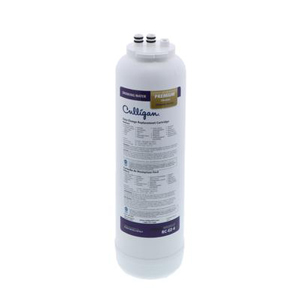 The Culligan IC-EZ-1 EZ-Change refrigerator water filter has a great design that makes it suitable for those who don’t want to spend a lot of time installing it or changing its filter cartridges. This model comes with quick-connect fittings you can simply twist on or off for the installation, and the replacement cartridges are just as easy to change. We liked that this water filter can remove a lot of contaminants from the water. The first thing you will notice is that this unit filters all the bad smells and tastes from the water, including that of chlorine. 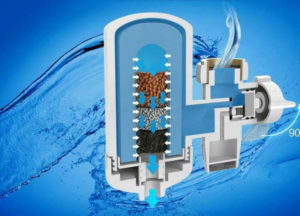 Besides being very efficient at removing the chlorine from the water, this filter will also remove most of the suspended particles that might float in it. As far as the cooler’s longevity is concerned, this model can filter up to 3,000 gallons of water with a single cartridge, or you can use it continuously for about 12 months before changing the filter cartridge. Takes Up A Lot Of Space – This water filter takes up a lot of space behind your fridge, so you should make sure it will fit before buying it. Another budget solution, the Omnipure K2533JJ is an efficient refrigerator water filter that will fit on most fridge models. This unit comes with quick-connect compression fittings that make it very easy to install, and you can install it without needing any tools or special training. One of the things we liked about this model is that it’s great for the budget. Not only does the water filter come at a great price, but it will also lower your monthly expenses. The filter produces clean and tasty water, so you won’t have to spend any money on water bottles or on counter filters. Another thing we appreciated about this model is that it comes with push fittings that are very easy to use. This will make the installation process easy, and it will also be helpful when you have to change the filter cartridges. Water Flow Direction Is Not Market – The filter’s water flow direction is not market, so you might accidentally install it backward. 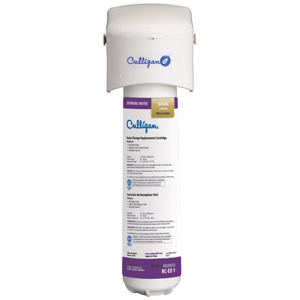 The Culligan IC-EZ-4 refrigerator filter is the upgraded version of the model we reviewed above. Just like its predecessor, this model comes with quick-connect fittings that make the installation a breeze, and that is also helpful when you want to change the filter cartridges. The difference between this model and the IC-EZ-1 is in what their filter cartridges can remove from the water. While the previous model is a very capable one, this one is capable of removing more elements from the water, making it more efficient. The IC-EZ-4 will remove chlorine, chloramines, mercury, lead, pharmaceuticals, along with the bad tastes and smells. But even though this model will remove more contaminants from the water, it doesn’t have the longevity of the previous one. The IC-EZ-1 can filter up to 3,000 gallons of water or a whole year, while the upgraded model will only filter 500 gallons of water or last for 6 months. We end this list by presenting a budget-friendly solution for those who want to improve the quality of the water that enters their refrigerators or ice machines. 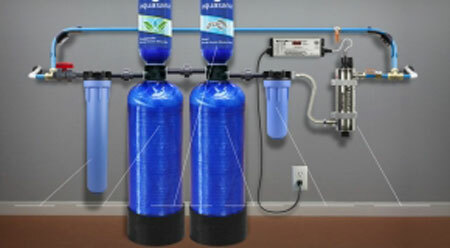 The AQUACREST GXRTQR water filter is an efficient model that’s easy to install. This model will remove most of the contaminants in the water, and it also comes with a spare filter cartridge to facilitate a longer use. One of the things we liked about this model is that it manages to filter out the contaminants in the water without removing the healthy minerals in it. This will improve the quality of your water and it will make it healthier to drink. Filter Cartridge Replacement Could Be Easier – Replacing the filter cartridge could be easier. As it is, it can be troublesome. 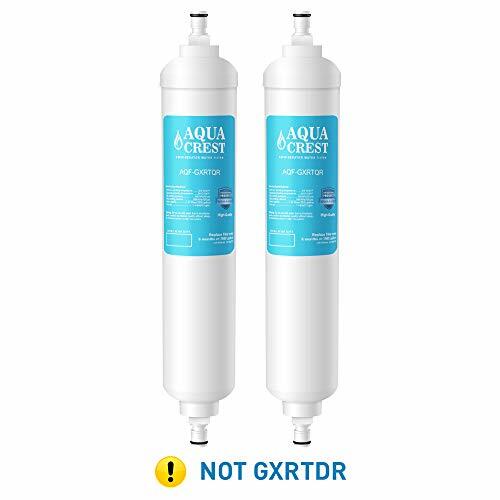 As you could see in our short reviews, even though they might look alike, refrigerator water filters remove different contaminants from the water and they have different longevities. This can make finding the right refrigerator filter difficult at times. 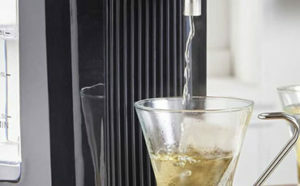 In the following section, we explain how to find the right water filter for your fridge and how to install it properly. 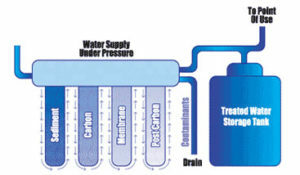 What Does A Refrigerator Water Filter Do? If your refrigerator comes with a water tap, it can be connected to a water line and you can use it to drink chilled water all year round. In theory, this is a great way to have a constant source of cold drinking water. But what do you do when your tap water tastes bad? Your fridge will receive the same tap water, and even though it will cool it down, it won’t change its bad taste. This is where a refrigerator water filter comes in handy. Check out the water coolers here. How Does A Refrigerator Water Filter Work? The first filter medium used by all refrigerator filters is a mechanical one. This filter medium will remove all the sediment, debris, rust, and other large contaminants that might be floating in the water. Depending on the filter model, this medium might be made out of fiber, or it can be made out of other porous materials, such as sand. When the water passes through this filter, some of the contaminants floating through it will be trapped in the medium so they won’t end up in your drinking water. Some mechanical filters can be so effective they will also remove part of the bacteria that affect the water. Now that the sediment, debris, and rust are out of the picture, the water filter will start removing the smaller elements that might contaminate the water. Some filter mediums are small enough to trap most of the bacteria that pass through the water, but they will also trap some of the organic compounds that make the water smell and taste bad. The activated carbon filter is the most important medium of the filter cartridge. The activated carbon presents a lot of porosities – nooks and crannies that can hold the contaminants. When the water passes through the activated carbon filter, most of the remaining elements floating through the water, including chlorine, volatile organic compounds, some pharmaceuticals, pesticides, and herbicides will be trapped by the filter’s surface. Why Is A Refrigerator Filter Important? Well, one of the reasons a refrigerator filter is important is that it makes your drinking water taste better. In fact, some of the best filters will make the water taste great, just like fresh stream water would. Another important reason to use a refrigerator filter is that it’s healthier. If the water is not filtered, it will get directly into the fridge’s water recipient. And while it stays there, the bacteria, viruses, and the parasites in the water will start to multiply. So when you drink that water you will actually ingest a lot of contaminants. And bacteria and viruses are not your only problem. If your water comes from a municipality water line, the bacterial contamination is pretty low, to begin with. But if your water comes from a municipal line, it means the water is treated. And most towns and cities use chlorine to treat the water and fight off bacteria. Chlorine is a great disinfectant, and it will destroy most of the harmful bacteria, viruses, protozoa, and parasites in the water. But chlorinated water also has a downside. It’s not healthy. In fact, recent studies show that those who drink chlorinated water are up to 93% more likely to suffer from a form of cancer than those who don’t. Even though chlorine was one of the first water treatment solutions and it was a great help in stopping the spread of waterborne diseases, it too might be harmful to us, especially if we consume a lot of it, which we unfortunately do. It seems that the average American consumes 300 – 600 times more chlorine than it’s deemed safe to ingest. And the consumption of chlorine is not the only problem. Another problem is that chlorine mixes with the small amounts of organic compounds that float in the water and produces some dangerous elements called Trihalomethanes. These elements are harmful to the human body where they stimulate the production of free radicals that ultimately lead to cell damage. Some studies discovered that trihalomethanes are highly carcinogenic and that even the small amounts we ingest from the water can be harmful to us. 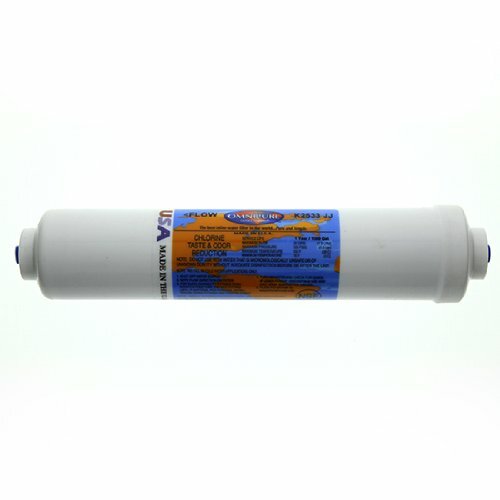 Using a refrigerator filter will not only remove the remaining bacteria, protozoa, and parasites from the water, but it will also remove the chlorine, heavy metals, and some pharmaceuticals as well. This will make the water healthier to drink and better tasting. No water filter can work forever. And that’s because of the filter’s design and construction. We’re going to break this process down for you, so it will be easier to understand. Why Do I Need To Replace My Fridge Filter? The mechanical filters, no matter how many of them the fridge filter uses, have a limited lifespan. These filters allow the water to flow through their pores. The pores are specially designed to allow the water to pass undisturbed, but to trap different elements in the water. Imagine the filter as a huge fishing net with very small holes. As the water passes, the sediment, rust, debris, bacteria, and parasites get stuck in the pores. But when an element gets stuck in the hole, that hole will no longer be functional. Certainly, there are other holes the water can use to pass, but they have the same size as the first one, and they will gradually capture contaminants and get stuck as well. Eventually, so many holes will be blocked by bacteria, rust, and other contaminants that the water will have a hard time getting through the net. And you will notice this as the water will slowly but surely losing its pressure. Even if you might not notice the pressure difference, you will surely notice a difference in the water’s taste and odor. 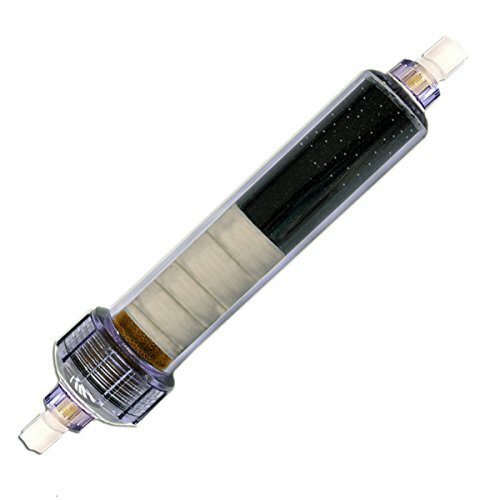 Just like the mechanical filters, the activated carbon also has a limited lifespan. The activated carbon is treated with oxygen and that makes its surface very uneven. In fact, the surface of the activated carbon is full of smaller and larger ditches. And in a rough equivalence, a single gram of activated carbon is the equivalent of up to 3,000 square meters. Now, when the chlorine, pharmaceuticals, pesticides, and herbicides reach the activated carbon medium, they will be attracted by the carbon’s molecules, and they will be trapped in the ditches on the carbon’s surface. But as the water flows through the activated carbon, more and more of its ditches will be filled with elements, so they won’t retain new ones. When this happens, the carbon filter will stop filtering and you might feel the higher amount of chlorine in the water’s taste and smell. When Do I Need To Replace My Fridge Filter? The short answer is when the manufacturer recommends it. If you wait until you notice a difference in the fridge’s water pressure or a change in the water’s taste, it might be too late to be efficient. 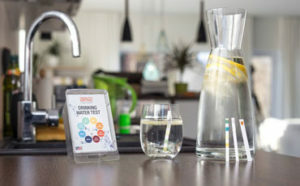 Every water filter has to pass some tests before it reaches the market. During these tests, the manufacturers calculate how long they can use the filter efficiently. Now, depending on their results, the timeframe and capacity can vary. Some models might filter up to 500 gallons of water, while others might filter 3,000. Some can be used for up to 6 months, while others can be used for up to 3 years. We recommend you read the manufacturer’s instructions and use a sharpie to write the filter’s expiring date on the filter itself or on the side of the fridge so you will remember to change it when it’s time to. How Do I Find The Right Filter For My Fridge? Finding the right filter for your fridge can be surprisingly easy, and you can do it different ways. One way you can do it is to contact the manufacturer’s customer service support and ask. Another way to do it is to check your fridge’s specifications and see the thickness of the water line. Most water filters have a universal design, and as long as the filter matches the water line, it will match your fridge. The third way is to use the part finder query box some manufacturers use and verify if your fridge’s model is listed there. How Do I Install My New Refrigerator Filter? Installing a refrigerator water filter is easy. Most models come with all the accessories you need for the installation, and you don’t need to use any tools or have special training to do it. The first thing you should do is to read the manufacturer’s installation instructions. After you read and understand the instructions, stop the water supply for the line that leads to the fridge. Once you do that, disconnect the fridge from the water line, attach the filter’s quick-connect lines, and prime the filter before reattaching the water line. To prime the filter, you will need to start the water line’s supply and let the filter work for up to 10 minutes, depending on the model. You can use a bucket to prime the filter. Now reattach the water line to the fridge. After the filter is connected, you can use the fridge’s water tap. As you could see in our refrigerator water filter reviews, even though these models seem similar, they work in different ways to produce fresh and uncontaminated water. Some models are more durable than others, and some might filter out more contaminants from the water. Using the best refrigerator water filter will ensure that your water will lose its chlorinated smell and taste. Moreover, using such a model will also ensure that your water won’t be contaminated by bacteria, viruses, protozoa, or heavy metals. And the best part is, these models are cost-effective, and they will also save you a lot of money you would otherwise spend on bottled water.